More than just a cheat sheet, this 45 page report is packed with power. Wake up that sleepy list. Regenerate that lost traffic. You built it. Why not make it work for you? Email marketing helps businesses see instant sales from existing customers, but more importantly, it maintains and builds long-lasting relationships with loyal customers - which are the core of most successful businesses. Despite the business benefits of email marketing, many businesses are either still not using it or they are under-utilizing its power. If you’re already marketing via email, this guide provides useful tips to improve the results of your email campaigns and ideas to build long term relationships with loyal customers. 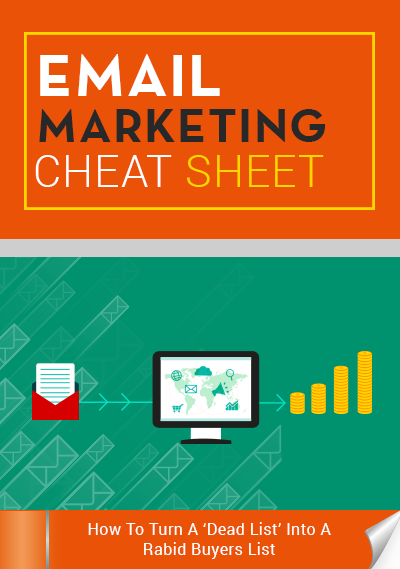 For those of you who haven’t started email marketing, you’ll learn how to do it efficiently and effectively in the right way! Sending email is a fun and rewarding experience. You know how awesome it is when people comment on your Facebook posts or respond to a tweet? Well, email newsletters are better with a greater reach! Don't lose sight that this is all supposed to be something you enjoy and hopefully grow to love. Researched and written by some of the leading experts in the field. Compiled, edited, and expanded by Rev. Stephen B. Henry PhD., known online as the WordPress Wizard. Steve is a published author, blogger, online presence developer, profession business mentor, and owner of WizardsPlace, a WordPress information and support site. You know you are getting top level information in this ebook.